Back in 2005, Catherine Cook and her 2 years older brother Dave were spending a good time looking through their school yearbook. This was when technology was booming and this is how the idea of creating an online yearbook was born in their heads. They were just high school students, they had no business experience, nor knowledge. This is why they shared the idea with their older brother Geoff, who was already a successful Internet entrepreneur, the founder of EssayEdge.com. The kids managed to convince him not only to help them, but also to invest a quarter of a million in their idea, and to help them start the venture. That’s how the social-network site – MyYearbook.com was born. The new web business happened to be very successful. Especially after MyYearbook.com merged with the quiz site Zendex.com and that nearly doubled its visitors. The business was doing well, with many investors interested in it. The kids wanted to expand even further, and they decided to sell a part of it raising some money. By the year 2006, MyYearbook had raised 4.1 million dollars venture capital. The site was rated as one of the top sites for youngsters by Nielsen Net rating company. The site started providing free study guide aids for its users, in partnership with Cliff Notes. The business now had more than 40 employees and its users had become more than 3 million people from all over the world. Many big advertisers wanted to put their ads on the site, the revenues were growing. There was only one tiny problem ….. Facebook! The giant in social-networking was a real threat to the enterprise, that was still gaining momentum. But to be a big name in an industry has some disadvantages, too. And Catherine found a great solution about how to effectively compete with Facebook – focusing on a single niche. 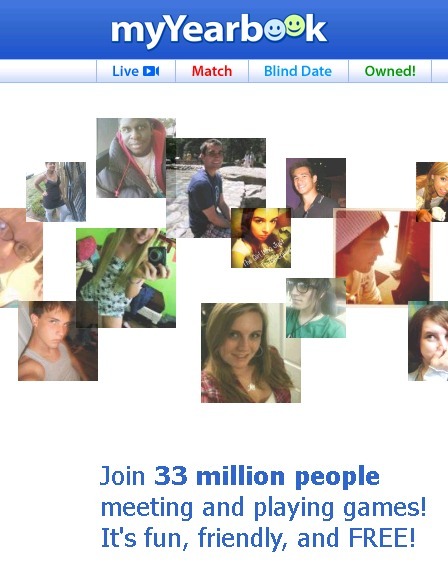 By the year 2011, the Latino social networking site Quepasa made an offer of $100 million for acquiring myYearbook.com. The deal was accepted and the founders cashed in. Just nine years after launch they made some nice millions. Nowadays MyYearbook.com has changed its name to MeetMe.com. The site has more than 90 million members and it has become a favorite place for many teenagers from all around the globe.